Build superior models and deploy them into production. Cloud Machine Learning Engine is a managed service that lets developers and data scientists build and run superior machine learning models in production. Cloud ML Engine offers training and prediction services, which can be used together or individually. It has been used by enterprises to solve problems ranging from identifying clouds in satellite images, ensuring food safety, and responding four times faster to customer emails. The training and prediction services within ML Engine are now referred to as AI Platform Training and AI Platform Prediction. Visit the AI Platform page to learn more. Start building your machine learning projects using AI Platform Notebooks. 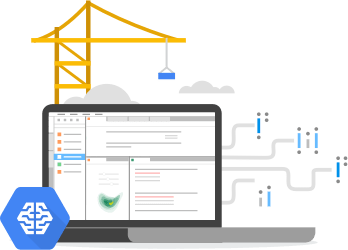 You can scale up model training by using the Cloud ML Engine training service in a serverless environment within GCP. Cloud ML Engine supports popular ML frameworks or lets you run your application within a Docker image. It also provides built-in tools to help you understand your models and effectively explain them to business users. Once you have a trained model, Cloud ML Engine offers two types of predictions to apply what the computer learned to new examples. Online Prediction deploys ML models with serverless, fully managed hosting that responds in real time with high availability. Our global prediction platform automatically scales to adjust to any throughput. It provides a secure web endpoint to integrate ML into your applications. Batch Prediction offers cost-effective inference with unparalleled throughput for asynchronous applications. It scales to perform inference on TBs of production data. Along with native support for popular frameworks like TensorFlow, you can get any other framework running on Cloud ML Engine. Simply upload a Docker container with your training program and Cloud ML Engine will put it to work on Google's infrastructure. Sometimes your data and model are so large that a single machine can't get the job done in time. Fortunately, Cloud ML Engine automatically sets up an environment for XGBoost and TensorFlow to run on multiple machines, so you can get the speed you need by adding multiple GPUs to your training job or splitting it across multiple VMs. Cloud ML Engine is a managed service which automates all resource provisioning and monitoring; builds models using managed distributed training infrastructure that supports CPUs, GPUs, and TPUs; and accelerates model development by training across many nodes or running multiple experiments in parallel. So you can focus on model development and deployment without worrying about infrastructure. Achieve better results faster by automatically tuning deep learning hyperparameters with HyperTune. Data scientists often manage thousands of tuning experiments on the cloud. HyperTune saves many hours of tedious and error-prone work. Use the open source TensorFlow SDK or other supported ML frameworks to train models locally on sample datasets, and use the Google Cloud Platform for training at scale. Models trained using Cloud ML Engine can be downloaded for local execution or mobile integration. You can also import scikit-learn, XGBoost, Keras, and TensorFlow models that have been trained anywhere for fully-managed, real-time prediction hosting — no Docker container required. Push deployment preprocessing to Google Cloud with scikit-learn pipelines and tf.transform. This means you can send raw data to models in production and reduce local computation, while also preventing data skew from being introduced through different preprocessing in training and prediction. 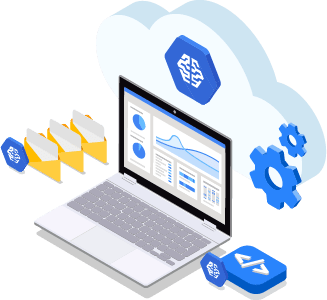 Cloud ML Engine has deep integration with our managed notebook service and our data services for machine learning: Cloud Dataflow for feature processing, BigQuery for dashboard support and analysis, and Cloud Storage for data storage. Training and Online Prediction support multiple frameworks to train and serve classification, regression, clustering, and dimensionality reduction models. Cloud ML Engine charges for training ML models and running predictions with trained models. For detailed pricing information, please view the pricing guide. Online prediction - Machine types - price per node hour.